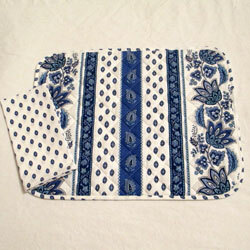 Blue and white reversible quilted placemat measures 18" X 14." The pattern on the other side is the same pattern as the napkin which is shown with the placemat. It is made in France of 100% cotton. 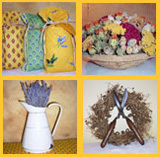 The placemat is machine washable in cool water and does best when air dried flat.